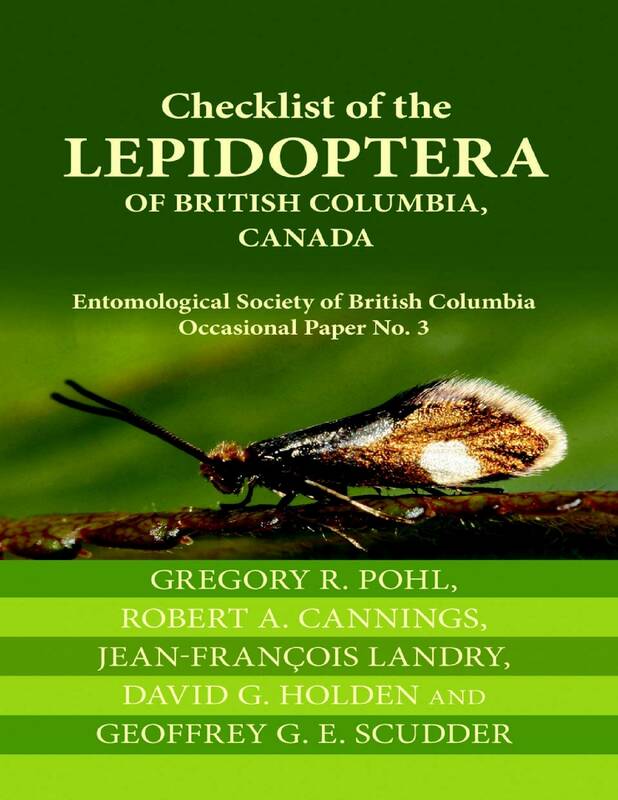 Checklist of the Lepidoptera of British Columbia, Canada: Entomological Society of British Columbia Occasional Paper No. Moths and butterflies (Lepidoptera) are one of the most diverse and economically important groups of insects, with approximately 157,000 species worldwide. 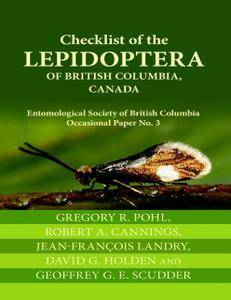 This book establishes a definitive list of the species that occur in BC, and clarifies erroneous records in past works. It provides a knowledge baseline that will be useful to resource and conservation managers, biodiversity researchers, taxonomists, amateur collectors, and naturalists.